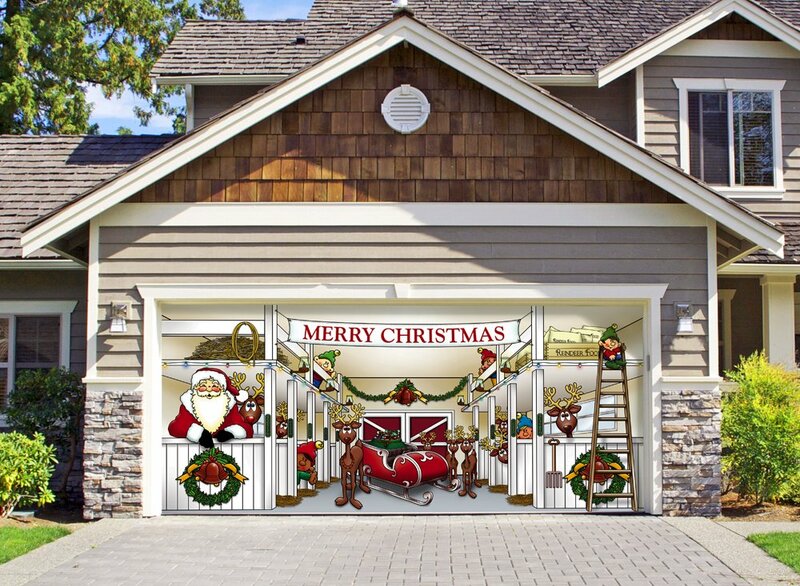 Christmas decorating moves to a whole new level when you add Christmas garage door decorations to the list. 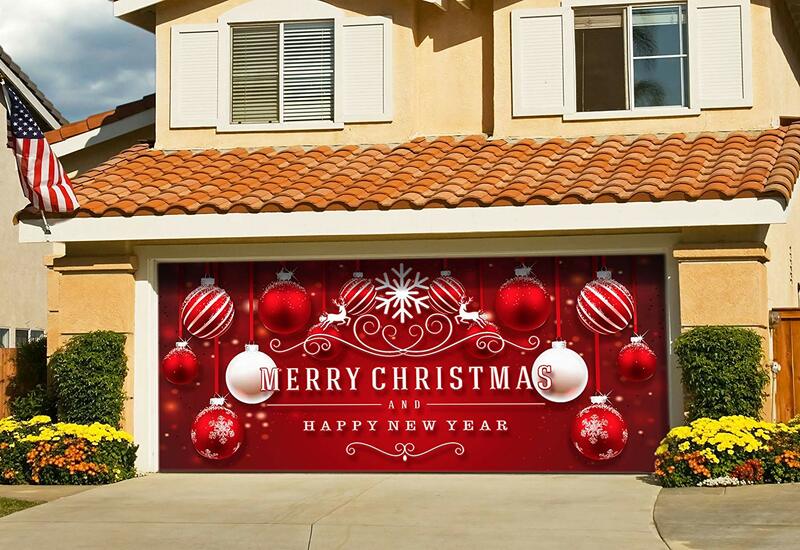 Over-sized, sumptuous garage door decorations, visible from the street, add layers of bold color, detail and mountains of texture. They are bold, beautiful and a little daunting. What ever decor style you decide on, make sure it goes with your front door decorations. You don't want them to look as if they belong to different houses, different eras or styles. With such a large space you can decorate around, on or above your garage doors with whimsical, traditional or clever decorations. One way is to use garage door covers. They are quite expensive and even though you can re-use them, you are limited to the same look. You decor needs to be large enough to give you curb appeal without overwhelming your home. 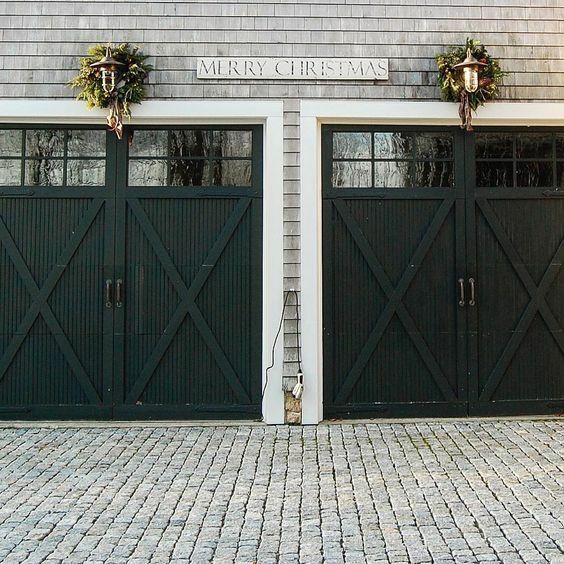 Here are a few different ways you can decorate your garage doors this Christmas. 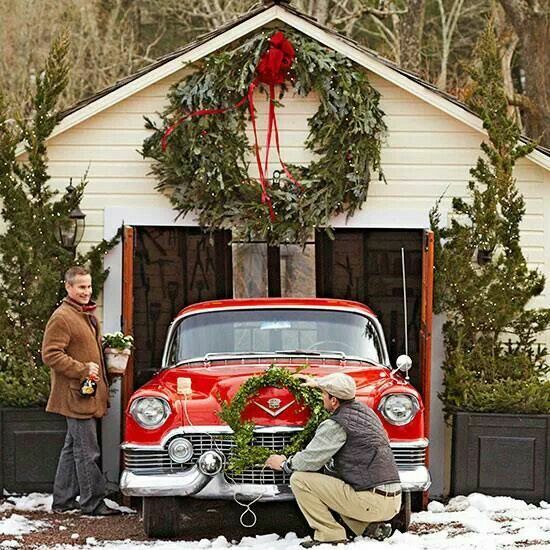 Wreaths are a simple way decorate your garage. 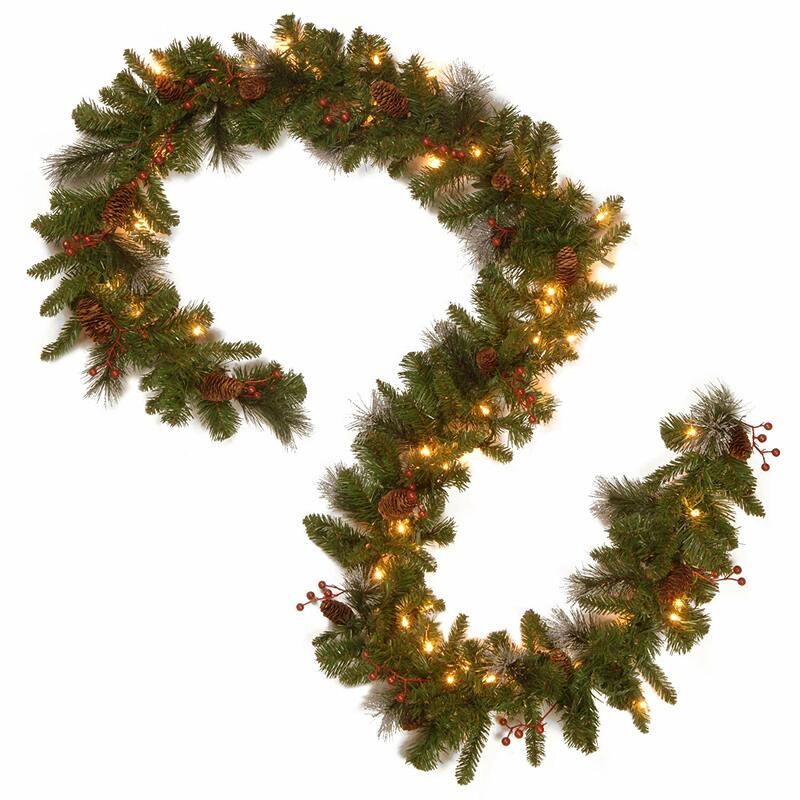 Line them up, create a snowman or just use one large giant wreath as a statement. If you prefer artificial wreaths, choose fade resistant wreaths so they are re-usable in the future. Either way, choose a wreath size that stands out, wreaths that are too small will look insignificant from a distance. 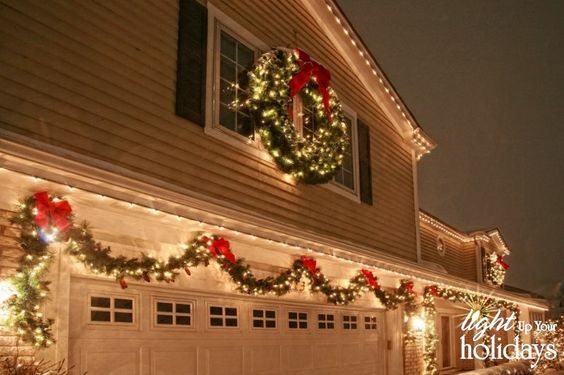 One enormous over-sized wreath, tied with simple red ribbon and hung over your garage, is a beautiful, simple Christmas statement. 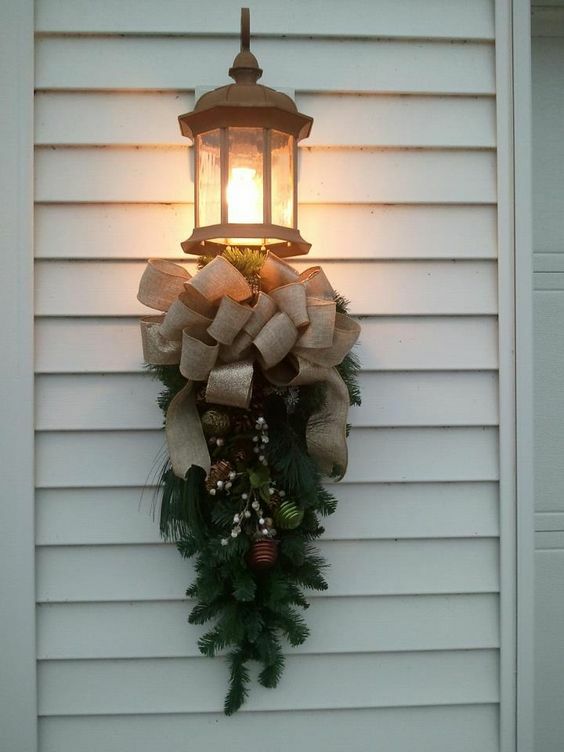 Whether you make or buy your wreath, decorate it with layers of ribbons, ornaments and lights. What about making a wreath from your left over Christmas tree trimmings? This video shows you how. The video uses a wire frame as the base, but you can use a dried grapevine frame, a plastic hula hoop or anything else that's the size you want for your wreath. Once you've decided on your base, tie the tree trimmings into bunches and secure them to your wreath. 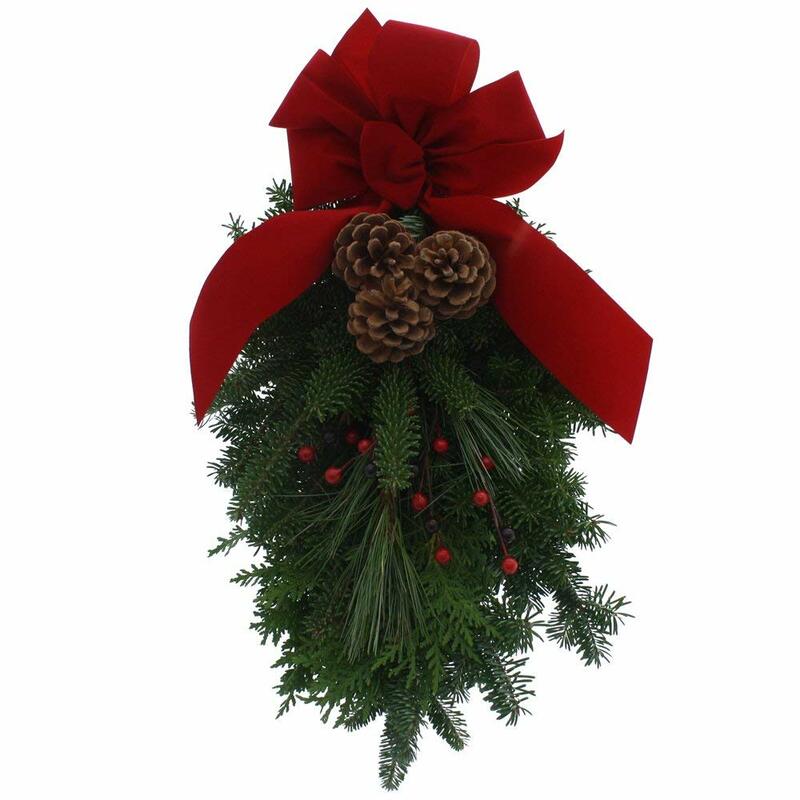 Once the wreath is abundant and green, decorate it with berries, ornaments or ribbons. Its now ready to hang. 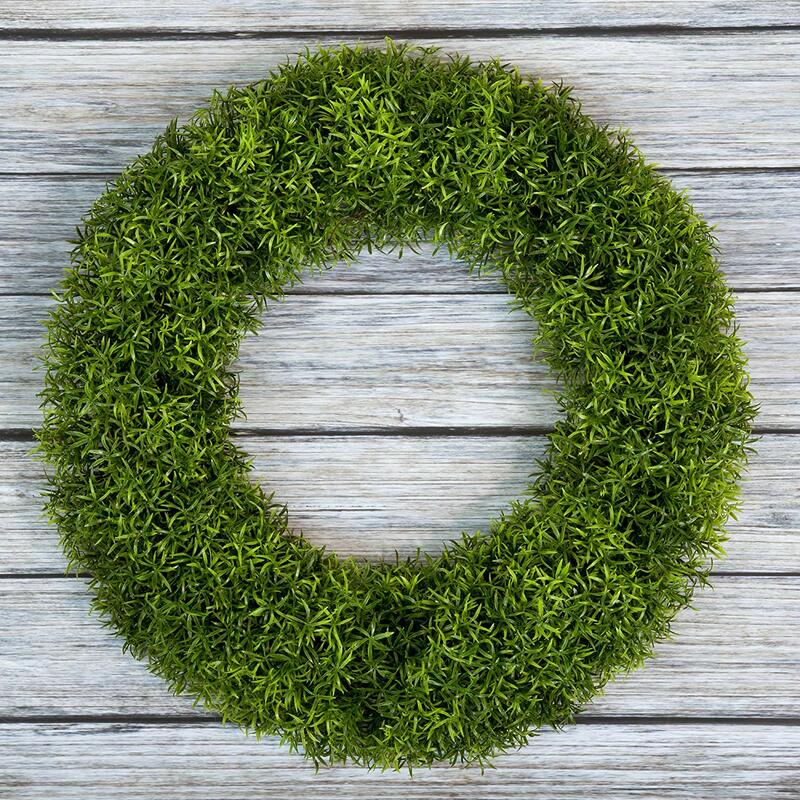 Pre-made wreath like this fade resistant, UV protected boxwood wreath below is easily found, from the corner store to Amazon. A simple large bow, berries or decorations can be secured with a glue gun or inserted directly into the weave of the wreath. I prefer to insert them into the weave so I can remove them and create a whole new design next year. You can take it one step further and create a jolly snowman for your garage wall. Simply take three different sized wreaths for the head, mid-section and body and secure them with wire. There are lots of ways you can create your snowman. To guide you here's a short video tutorial showing the tools you need, how to wire it together and adding a hat and scarf for a little personality. I like the black hat and tartan scarf above, its so Christmas. You can add Christmas tree trimmings, a large red bow, or even a bow tie. They all look wonderfully festive. 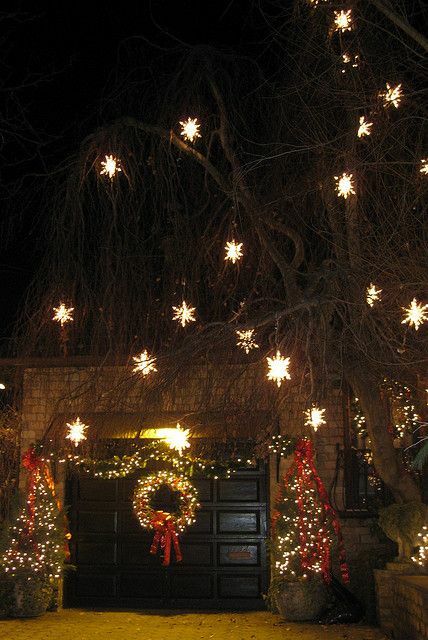 Decorating your outdoor garage lights and lanterns adds color to your Christmas decorating. 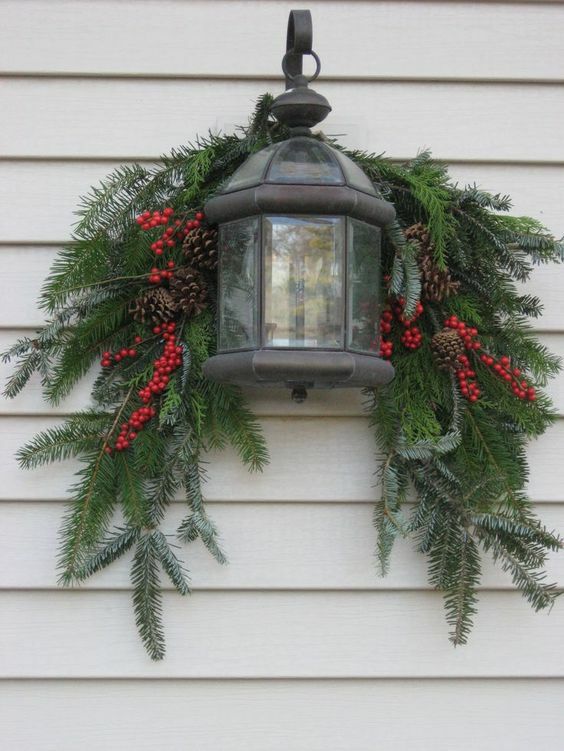 Simple greens draped across your light with berry accents can be more than enough for your garage doors. If you want something a little fancy this year, layers of gold mesh, cheetah print, mixed greens and baubles in a tear drop on this lantern creates a rich texture. If you love traditional, you can use pre-lit garlands or tear drop swags to create your own new look. You can decorate your own or buy a store decorated teardrop swag and add it to the base of each lantern. Here's a video tutorial showing how to decorate a teardrop swag with a traditional theme. They are relatively simple to make if you have time, plus ornaments, ribbons and berries to decorate them. If you are short on time, there are different teardrop swags to buy and ready to hang. You can always add more ornaments and ribbons if you want a fuller, layered personalized look. 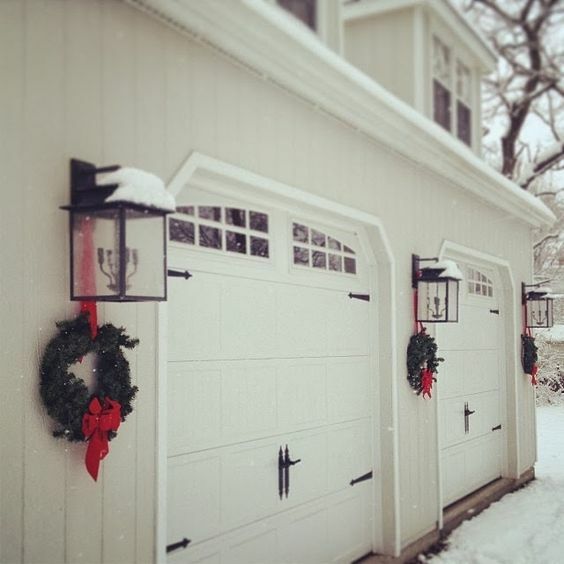 A great way to frame your garage doors is with garlands. You can hang, tack, go all the way around, or just drape them. 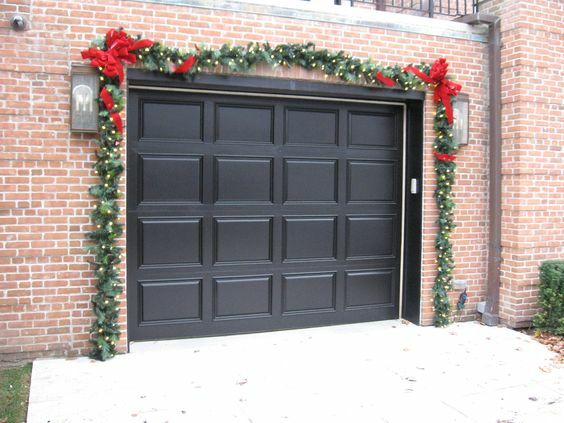 Dressed up or dressed down, they frame your doors and add a wonderful fresh green to your garage. The real thing is always wonderful, aromatic and easily torn down after Christmas. Many store bought garlands are generally decorated and come with battery operated lights. 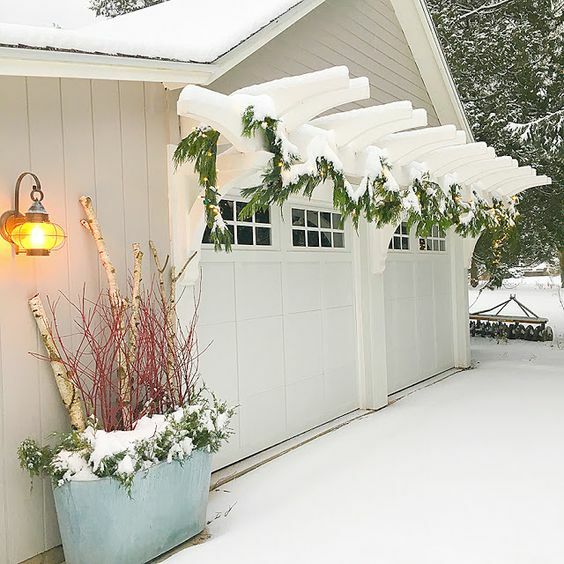 Depending on the size of your garage, you will need a few garland lengths if you want to go all the way around the doors. Cover the corners with ribbon and plug in your lights. A more economical way is to create a mono brow over the garage doors, and leave the sides bare. 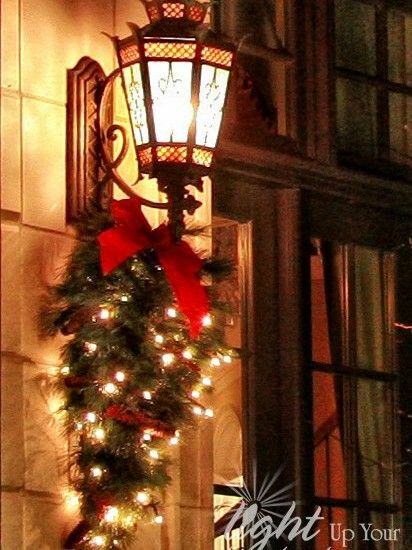 If you have outdoor lights, add them to tear drop swags, for a more luxurious look. 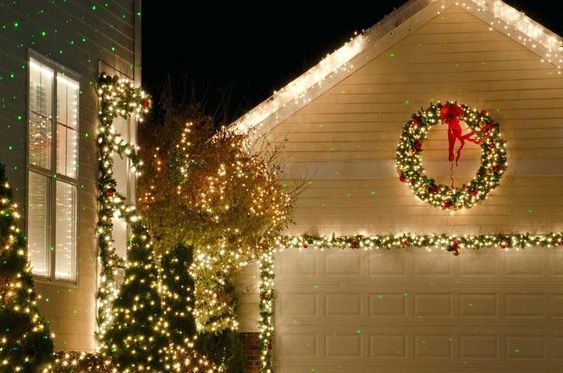 Add a few of these elements together and you have a Christmas garage door decorations show stopper. Classic, traditional and holiday festive! 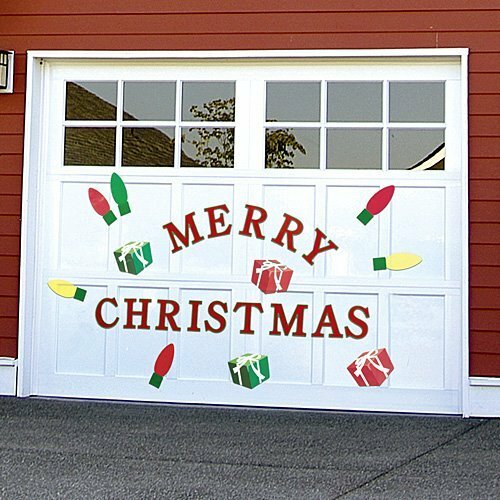 If you want Christmas garage door decorations using decals, there are different ways you can do this from inexpensive decals to total wrappers. Some are easier to apply than others, and depend on your selection and your design. 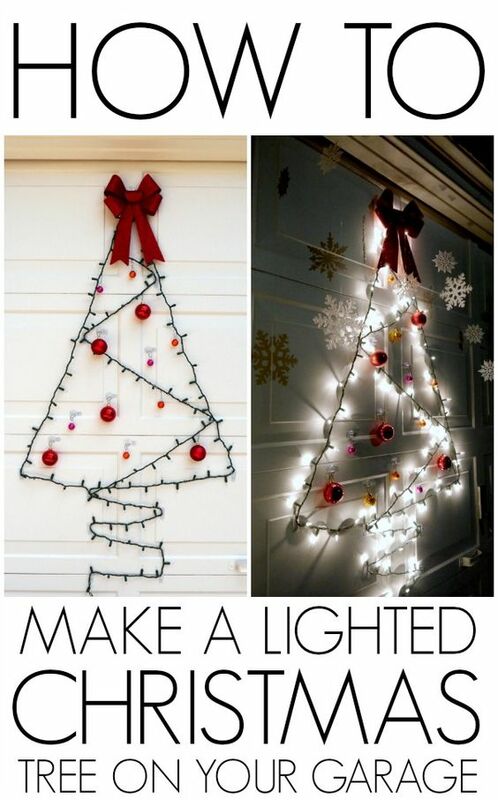 Layer in a garland or two and some lights and you can get an amazing effect using either of these methods. The last suggestion is a Christmas tree. If you love this Christmas tree made from a string of light, here is the how to do it. Have a wonderful Christmas!